"Do you remember me?" A small woman with snow white hair stood by my table of books and bright red poinsettias. I had come to the local library to talk about memoir. She smiled and her eyes crinkled at the corners. "I'm Sandy," she said . . . and then I remembered. I was back in a quiet room 18 years ago this January. Pastel watercolors hung on the walls and the only sound . . . my voice breaking into a sob. "It's not fair. He was too young, too good a person to die." Sandy smiled and said, "Remember, Susan, he loved you." And so I wrote about that unforgettable moment in Again in a Heartbeat. Now here on a pale winter's day, my former therapist and grief counselor held my memoirs, reading the synopsis on the back of each. She looked up at me. 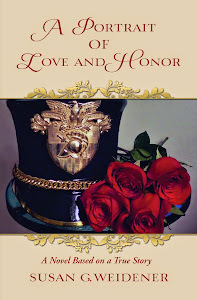 "I have two clients who recently lost their husbands. I want to give them your books. I'm thinking of starting a grief support group in a church," she added. "Thank you for writing these." Later that afternoon, another woman held a copy of Morning at Wellington Square. "What's it about?" she asked. I told her it was about finding meaning after leaving my newspaper career. I told her about the Women's Writing Circle at Wellington Square. She confessed her life felt as if it were on hold since retiring the summer before. "In some ways, I feel useless, unsure of where to go," she said. Someone suggested she use her graphic arts skills to teach a class of adult learners how to paint. While her passion had always been art, she found little time for it over the years. "I don't know," she shrugged. "It seems I've spent my whole life giving up everything for my career. I never married, never had children," she added. "Now I wonder . . . what can I do?" All writers ask themselves, "Who will read what I have written? Who can I share my story?" In answer, all I can say is that writing your story is connection. You enter a road teeming with travelers on many different, yet amazingly similar journeys. 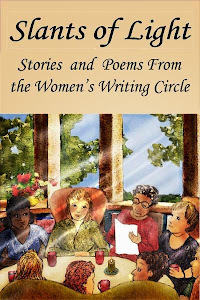 Last month on this blog, the women who attend the Women's Writing Circle spoke of our small group of supportive compatriots on this, the writer's road. They spoke of helping each other ease loneliness . . . of tossing out an emotional and creative life line through writing on Saturday mornings over coffee and candlelight in a bookshop. All it takes is faith in yourself and an appreciation for how much we share. And so I challenge and cheer you on this holiday season to follow your heart's desire and travel the writer's road. Since retirement, I've been working on my memoir, and exploring ways of expression through art, both vitally engaging. Winter is a time to go inward in Alaska, where the days are short and dark. But this is the time when the yeast does its work, when ideas are born! Monica, Your website speaks to a woman who is truly following her heart's desires through many creative outlets. It is inspirational. Thank you for visiting the Circle all the way from Alaska! Lovely post, Susan. As I have said before, you have a great gift. Keep writing, please. I agree that the connection with other human beings is a great reward that writing provides. I would add that the process of writing itself is magical, and, at least, writing memoir is healing. The plight of the lady who didn't know what to do in retirement resonated with me. A significant part of my new book, Retirement: A Memoir and Guide is devoted to the loneliness and absence of purpose that often comes with retirement and how to face and conquer that challenge. Boyd, I'll be sure and get your new book on Kindle. It's too bad we don't live closer. Between our memoirs and the synergies in your new book and my story, Morning at Wellington Square, we could really do some fine book signings and talks, not just about memoir, but renewal and encore careers . . . This is beautiful Susan. Thank you for sharing. In today's fast paced cyberspace world, connections are everything. So thoughtful and poignant and inspiring. Thank you. Thank you very much, Pat. Connections are a blessing. 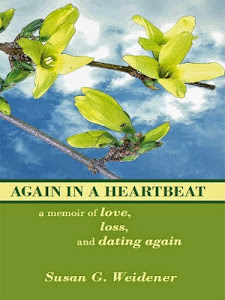 One of the things about sharing our story through memoir is realizing this genre is a very personal journey . . . no room for superficiality. That alone helps ease the isolation. What a lovely blog, Susan. I'm glad I met you through LinkedIn and will start reading Wellington Square shortly. I teach adults at Suffolk and at libraries, many of them seniors. They may be retired, living alone, but I love their spirit, their determination to keep active and informed, and to share their lives and experiences with the rest of us. Let's stay in touch! Thank you, Eileen. 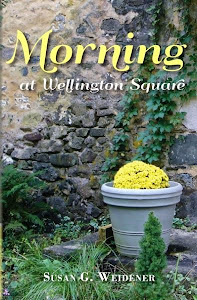 Morning at Wellington Square is really about just that - having the spirit to search for and believe you can find passion and renewal in middle age and beyond; that has been my journey thanks to the Women's Writing Circle. The work you are doing sounds wonderful and fulfilling. I, too, am glad we met across "cyberspace," so to speak.